Securing (registering) a domain name (i.e. smithforsenate.com) is one of the first steps you should take even if you are just considering a run for office. Registering a domain name is simple and inexpensive. You can do it long before you commit to having a website. Domain registration and web hosting are two separate processes. First, a domain must be registered through a domain registration company (called a registrar). That domain name is pointed to the server of a hosting company where the actual website resides. You can choose to register your domain name and host your site with the same company or you can split your domain registration and hosting between two companies. A domain name can be registered for a one year or multiple years. 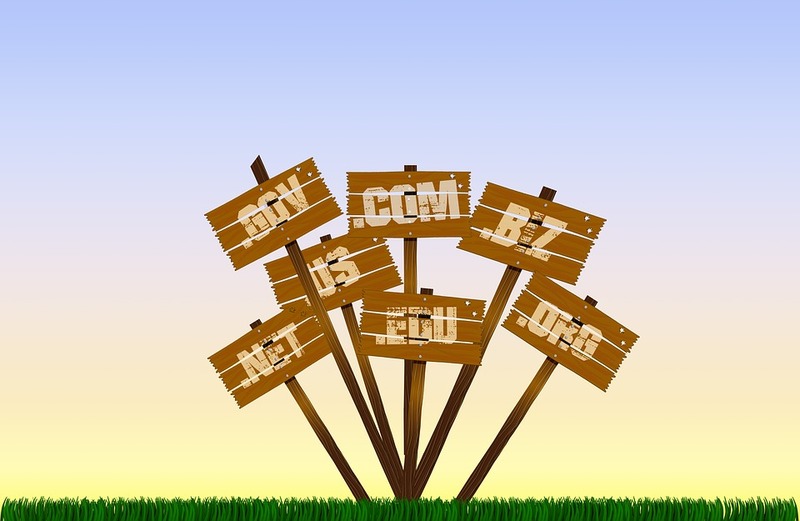 A few popular domain registrars include Enom.com Godaddy.com and Name.com. You can check if a domain name is available or not through a registrar site by performing a ‘Whois’ search. If the name you want is available, then you can register it for yourself. Most registrars allow you the option of a ‘private’ registration. This hides the domain name owner’s publicly available information and prevents the registrant’s name, address, email address and phone number from being found online. One of the biggest benefits is that private registration helps reduce spam. This service adds a bit to your costs, but it is an option worth considering if you value privacy. TIP: While it is possible to register the domain name of a political opponent, it is not recommended. Underhanded tricks like that are often revealed and can backfire on you. In addition, registering the name of an opponent and using it maliciously can get you into legal trouble. There isn’t much use in defensively purchasing every domain name that could possibly be used against you. (Such as johnsmithsucks.com) Instead, put your efforts toward promoting your own message. In choosing a domain name, simple is often best. Some political consultants advise against using your own name for a domain name. We disagree. If your name is John Smith, go with johnsmith.com or the name that will appear on the ballot. If your name is already registered, try a variation (eg. electjohnsmith.com). Search engines weigh the domain name heavily in determining relevancy for a keyword phrase. In other words, if you have your name somewhere in the domain name, it boosts the chance that your site will rank well for a search of your name. Keep the name short and memorable. Even though you can have over 60 characters in your domain name, how many people will actually want to type electjohnsmithfortinytowncouncil.com? Keep in mind that domain names are rented from a registrar and never owned. You really have no control over who may later pick up your discarded domain name. For example, following the 2000 presidential election, the domain name of conservative candidate Pat Buchanan was taken over by a company whose business included helping ‘swingers’ to hook up online. Not knowing who may pick up a discarded domain name is a good reason to choose a name that you will want to hang on to for a while. Learn the fates of once-popular political websites at //articles.sfgate.com/2004-10-28/entertainment/17448533_1_domain-names-clinton-and-dole-elizabeth-dole. If you are looking for something a little different from the typical .com. org or .net domains, you now have more options. There are now literally dozens of new top-level domains (TLDs) available. Want to really brand your organization? Consider registering a .democrat, .republican, .voting or .community domain. Candidates and organizations can choose domain name extensions specific to their political leanings. 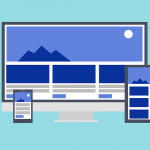 For now, though, expect the traditional .com and .org extensions to be the norm. However, for microsites or to target specific audiences, a political domain name extension certainly draws attention. The campaign website address of johnsmithforcouncil.com is, technically, a serviceable domain name. The problem is that long names are hard to type into a browser or fit onto campaign literature. One way around this problem is to get a second domain name and redirect it to the original. For example, ‘smith4council.com’ could be pointed to the original ‘johnsmithforcouncil.com’ site. The shorter name is easier to use in print materials and for users to type. By using a domain redirect, you don’t need to set up a new website. You are simply aliasing (forwarding) one domain name to another. TIP: On a technical note, domain forwarding is referred to as a 301 redirect, with “301″ interpreted by search engines as “moved permanently”. It is not difficult to implement and it should help preserve existing search engine rankings from one domain to another. Figure out a name you want to use, along with a backup name or two in case the first is not available. If you find that the name you want is available, register it immediately. Simply searching for a domain name could trigger a domain harvester company to pick up the name automatically – with the intention of selling it to you at an inflated price. We’ve seen this happen to clients, and they’ve usually ended up having to register alternate names. You do not need to set up a website at the time you register a domain name. At this point, you are just reserving the name and preventing anyone else from taking it. The website itself can be created later. What to do if someone takes your name or attempts to hold your campaign hostage. How to do it, and what to look out for from shady operators.